Welcome to the IMN channel for TV and Radio Trouble Shooter Judd McIlvain. Here you can find old and new clips of the Trouble Shooter and the latest in consumer news. The Trouble Shooter is the voice of the consumer, knocking on doors, getting results and fighting scams, frauds and con-artists everywhere. Watch the Trouble Shooter on KJLA-TV in Southern California, check local listings for times, and tune in every Wednesday from 1-3pm on Stickam and AdviceRadio.com. Judd McIlvain’s Troubleshooter web site serves to inform consumers of their rights and how to avoid being scammed. 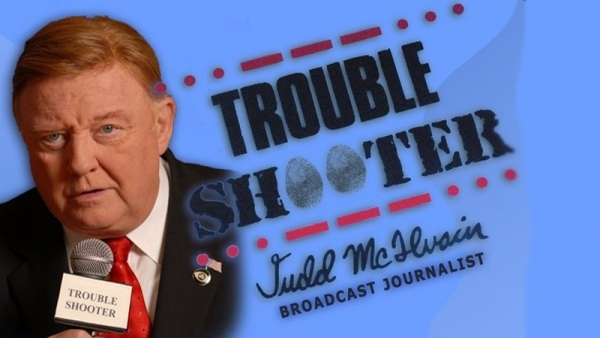 Emmy-award winning Judd McIlvain is one of the most trusted consumer investigative reporters in the U.S. He’s done reports for CBS News, ABC News, CBS’s 48-Hours, United Press International and KCBS TV News, L.A. His “Troubleshooter” TV Consumer show ran for four years in L.A. and he’s been doing his Troubleshooter News segments in L.A. for 14 years.